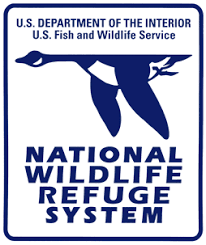 The locations for the various activities are at the San Bernard National Wildlife Refuge Headquarters Campus, near the main entrance to the Refuge. Kids, parents, and grandparents are invited to participate! Kids can test their skills or learn to shoot with an air rifle. Refuge Law Enforcement staff teach proper gun safety and shooting skills. Targets are movable and can be set for the skill level of the participant. 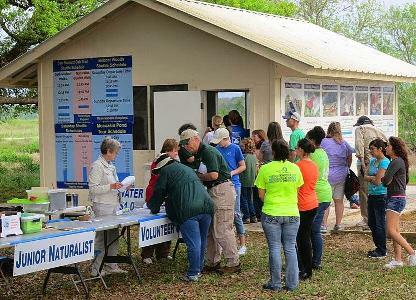 Every year during March and April, EarthQuest brings the Birds of Prey program to Brazoria County for Migration Celebration. During the weeks preceding Migration Celebration, EarthQuest's wildlife handlers present Birds of Prey programs in a variety of venues including schools, service clubs, and shopping malls. In past years EarthQuest has presented programs in more than 30 schools in the Alvin, Angleton, Bay City, Brazosport, Columbia-Brazoria, Damon, Danbury, Sweeny, and Van Vleck School Districts, reaching a total audience of over 15,000 students and teachers. The Birds of Prey Programs culminate at Migration Celebration with four programs during the two-day festival at San Bernard National Wildlife Refuge. These programs are funded by donors. They are open to the public without charge. ​a non-profit corporation based in Georgia. Phil has been the driving force behind Birds of Prey school programs, and often serves as a sort of Master of Ceremonies. Come test your archery skills or learn to shoot safely. We will have a target range set-up to teach kids both archery safety and how to shoot archery equipment. Large nets are used to capture insects along the edge of tall grass. Volunteers help identify and describe the insects. Interesting specimens are collected for close up examination with magnifying glasses and under microscopes. How many different bugs can you find? Ever have a butterfly land on your nose? It's possible in our Butterfly Encounter tent! See Monarchs, Painted Ladies and more butterflies (if we can catch them) flying or resting on native plants. Learn about butterflies and their lifecycle before you enter the encounter tent. See how an insect sees by trying our Bug Eye glasses. 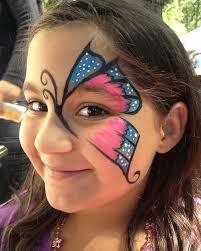 Kids can try our butterfly wings. Children choose one of a variety of nature-themed images to have painted on their faces. Show your artistic talents with our fish printing station. 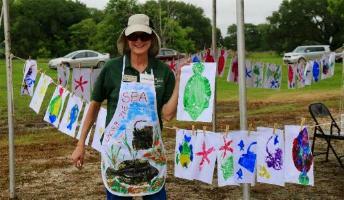 Kids make artistic prints of "fish" with the assistance of volunteer docents. Create artwork inspired by the fish that does not smell fishy! Washable paints are painted on a rubber fish of your choice and then "printed" on the corresponding paper that is filled with facts about each fish. The Fish Print exhibit is provided by the Texas Parks & Wildlife Department. TPWD's Coastal Expo Mission: Increase public awareness of Texas coastal ecosystems, why they are important, and how people can protect them. To promote awareness of nature and the refuges, Migration Celebration started the Junior Naturalist Passport for children in 2010. On Saturday and Sunday, Junior Naturalist candidates pick up a passport (booklet) near the Information Booth. Many different activities are listed in the passport along with questions about the activity. You visit a number of the activities, answer the questions asked in the passport, and have your passport stamped at each activity. After completing a certain number of the activities, you take the stamped passport to the Friends of the Brazoria Wildlife Refuges Nature Store in the Exhibits Building to receive a free prize. This fun and educational activity that also helps guide you to many of the things going on. So be sure to pick up a passport for the kids and a site map when you arrive. I will stay on the paths and trails in the refuge. I will not litter. I will pick up any trash I see and leave the refuge cleaner than when I arrived. I will not feed, chase, or scare birds or other animals. I will not pick wildflowers, break off limbs, peel bark off trees, or harm any plants. I will talk to my friends and family and encourage them to protect the refuge with me. We provide the rods, reels, bait and, if the kids need it, instruction. 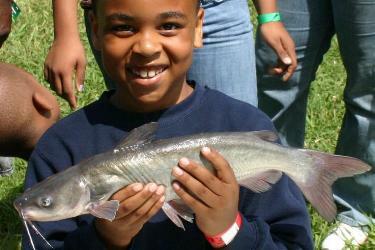 Kids can fish for Bluegills (Bream) or Catfish. Both have been recently stocked in to our pond. If needed, our volunteers will assist our junior fishermen with their fishing adventure. This is a catch and release program so more kids can enjoy the opportunity to catch a fish. A fishing license is not required. The Live Critters exhibit is provided by the Texas Master Naturalist - Cradle of Texas Chapter. Microscopes are used to look at fine details of wildlife, such as flowers, feathers, and insects. Children capture specimens from a pond and tall grass and bring them to the microscope laboratory. ​Volunteers demonstrate techniques to use the microscope and describe details of the wildlife samples. See microscopic critters on a big screen! ​Nets are used to collect small animals from a pond. Children are shown how the types of animals reflect the quality of the water. Interesting specimens are described by volunteers and saved for close up examination with magnifying glasses and under microscopes. Learn from the Refuge Fire Staff about the importance of, and techniques in, utilizing prescribed fire as a tool to improve habitat quality, cycle nutrients, manage invasive species and reduce hazardous fuels on Refuge lands. Posters will describe the importance of the fire management program in restoring and maintaining quality wildlife habitat on our Mid-coast Refuges. In addition, children of all ages can participate in a wildfire suppression demonstration. Kids will be outfitted with firefighting equipment (hard hat and fireproof jacket) and will help battle a simulated brush fire with a real fire hose attached to a reel. They will use the hose to "fight" the fire (i.e., a picture of a fire on a guy wire) and push it back to its source. This exercise will be complete when the fire is put out (pushed back to its source). Smaller "spot" fires sometimes flare up and must be extinguished as well. Due to the amount of water the area will get muddy, so older shoes are recommended for participants. The sand pile for young children gives them an opportunity to show their creative side in a big pile of sand. 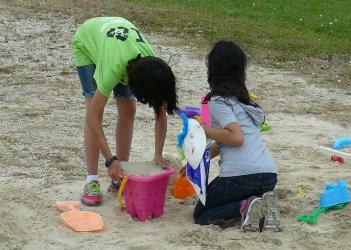 They can dig, build, sift, and explore how sand moves with the toys provided. A portable touch pool allows visitors to gently touch marine animals such as Blue Crabs, Hermit Crabs, Stone Crabs, Snails and even Anemones. The animals displayed live in a variety of habitats along the Texas coast and have developed many ways to survive conditions brought about by the tides, waves, and predators. The Touch Tank exhibit is provided by the Texas Parks & Wildlife Department. ​TPWD's Coastal Expo Mission: Increase public awareness of Texas coastal ecosystems, why they are important, and how people can protect them. Sea turtles are air-breathing reptiles with streamlined bodies and large flippers. They are well adapted to life in the ocean and inhabit tropical and subtropical ocean waters around the world. Of the seven species of sea turtles, six are found in U.S. waters. These include the Green, Hawksbill, Kemp's Ridley, Leatherback, Loggerhead, and Olive Ridley. A Turtle Excluder Device, or TED, is a specialized device that allows a captured sea turtle to escape when caught in a fisherman's net. Sea turtles can be caught when bottom trawling is used by the commercial shrimp fishing industry. In order to catch a shrimp, a fine meshed trawl net is needed. This results in large amounts of other marine organisms, such as sea turtles, being caught as bycatch. When a turtle gets caught or entangled in a trawl net, it becomes trapped and is unable to return to the surface. 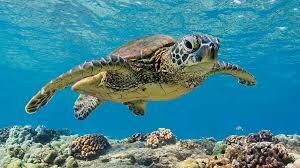 Since sea turtles are air-breathing creatures with lungs, they eventually drown. Check out this exhibit to see how a TED works! The Water Stream Trailer is a working model that demonstrates stream and river channel formation processes and best management practices for protecting and restoring our streams and rivers. 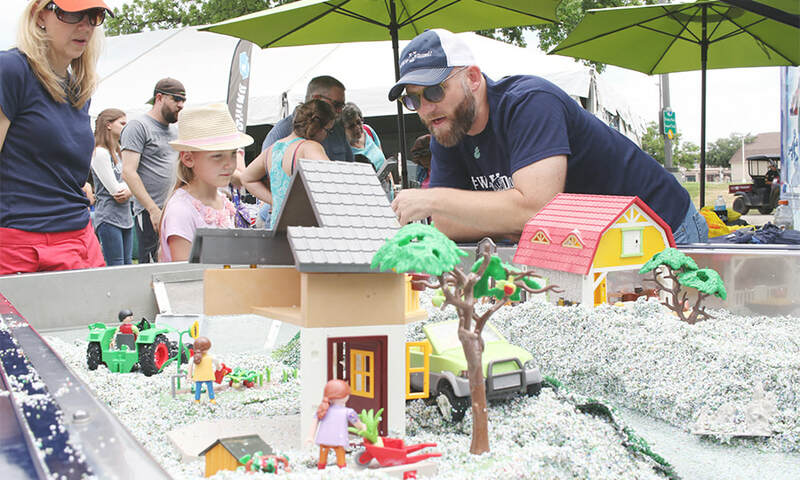 ​The Water Stream Trailer teaches about meandering rivers, vegetation, flooding, and sediment; and uses a range of props like houses, animals, and trees to demonstrate that back erosion is increased when hard structures are used and slowed down when vegetation is used.